Summary: This walk begins in the village of Harewood and follows a course around Harewood Park before joining the Leeds Country Way footpath on a route east to the village of East Keswick. 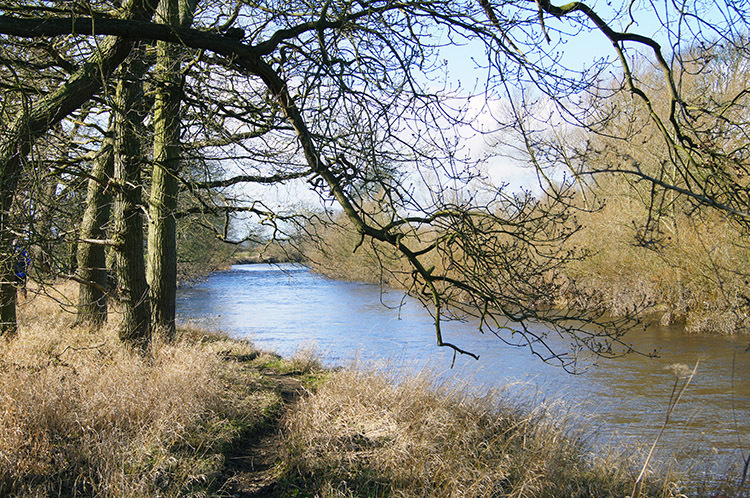 From the village the way heads north to meet the Ebor Way footpath on the bank of the River Wharfe which is followed upstream back to Harewood. I always view a walk in February as one of anticipation. Winter clings on and flora retains its dormant status. The sun, should it make an appearance maintains a low profile but as each day passes it creeps a little higher into the sky and despite winters grip evidence of the changing seasons is to be seen by small changes in daylight hours. 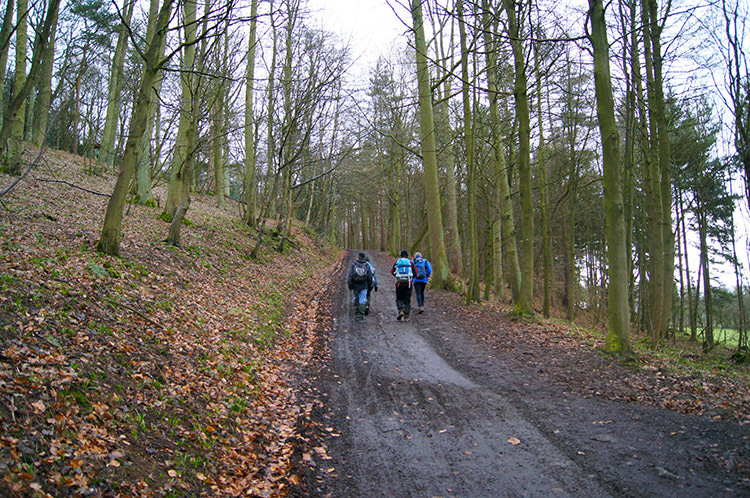 Soon after we had begun the walk, I was in the company of Jez, John, Joanne and Dave, we saw such evidence, a carpet of brilliant white snowdrops on the path toward and in the grounds of Harewood Church. 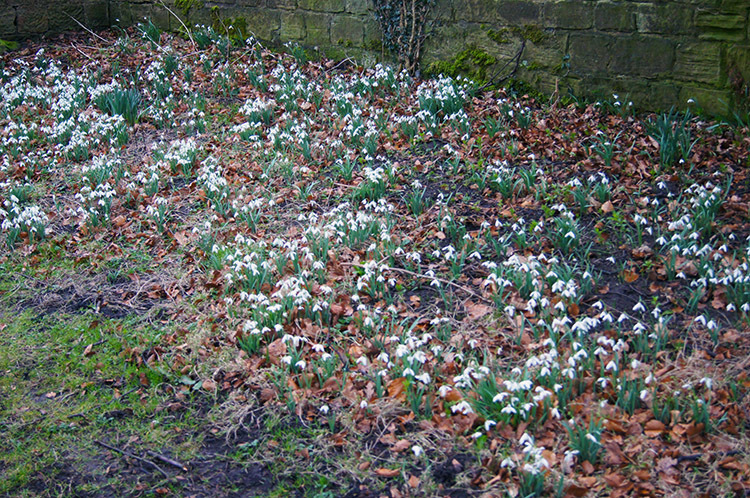 Snowdrops are wonderful, the first flowers of a new growing year. 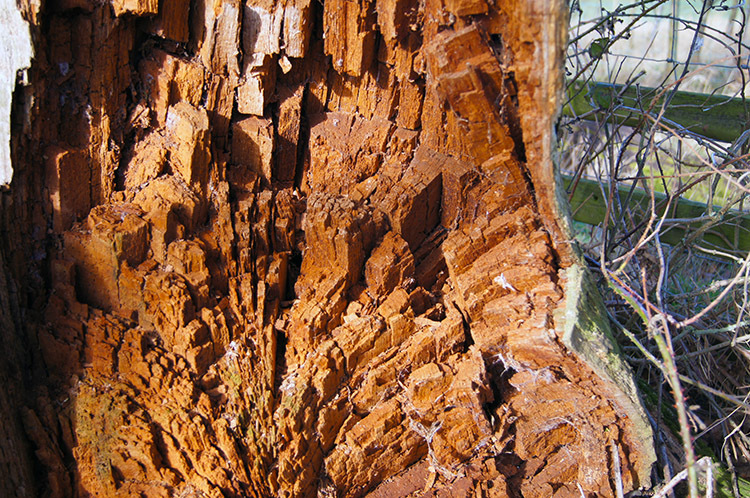 In the churchyard we also saw evidence of the powers of erosion. 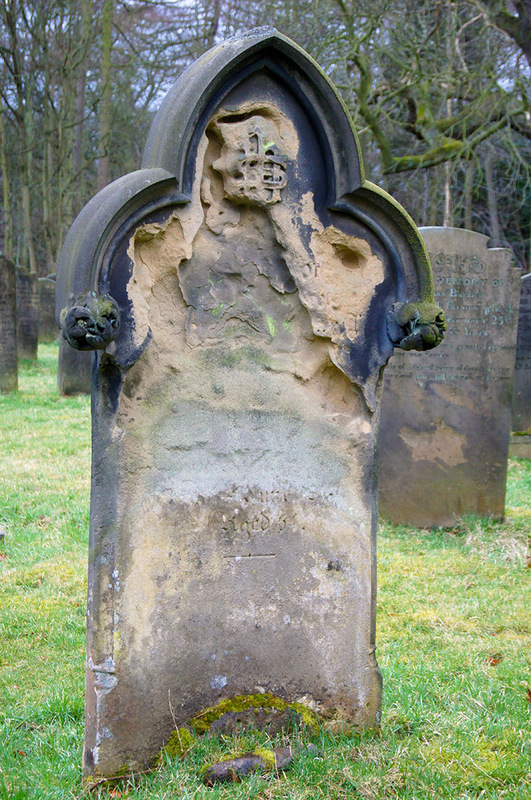 The countryside we all enjoy in the north of England is much a consequence of natural erosion with mountains, valleys and vales all shaped by glaciation during ice ages and in the churchyard that same erosive power had wiped all evidence of epitaph inscriptions on some of the older gravestones. Poignant but uplifting at the same time, looking around on the fringe of the churchyard were magnificent mature trees and many of them had remarkable burred trunks creating shapes both grotesque and beautiful. 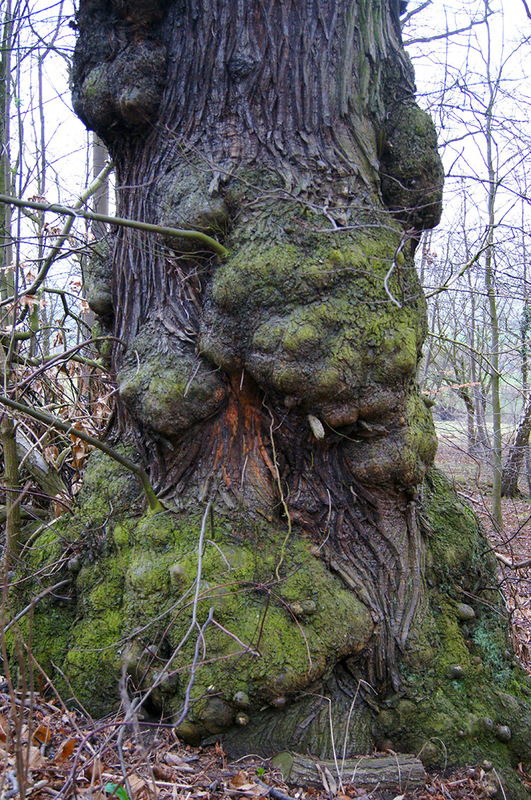 I can look at tree trunks for ages and wonder in awe at the shapes they have contrived to form in their many years of growing. 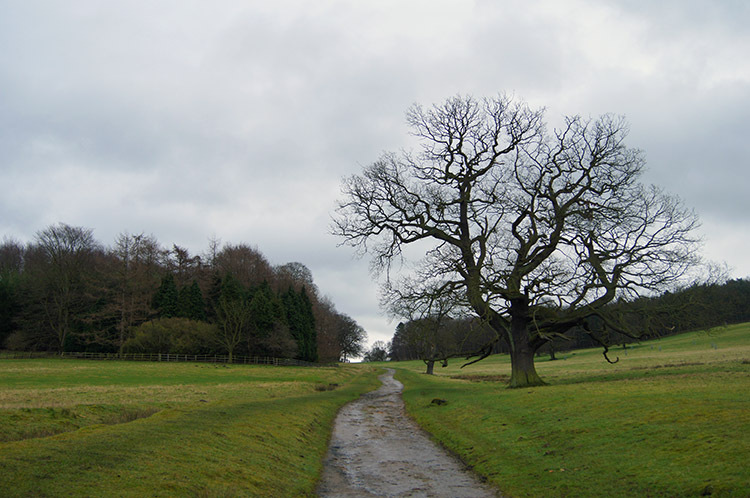 From the church we followed a path on an anti clockwise circuit of the extensive grounds of the Harewood House Estate. 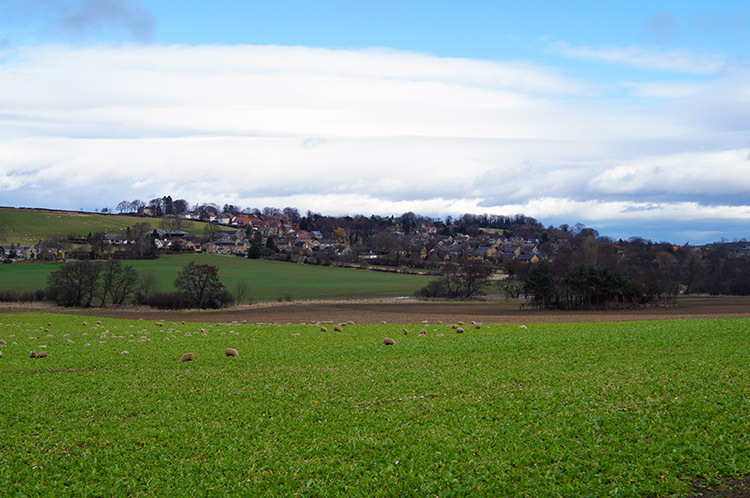 Our immediate views were due north directly along the A61 towards Harrogate. 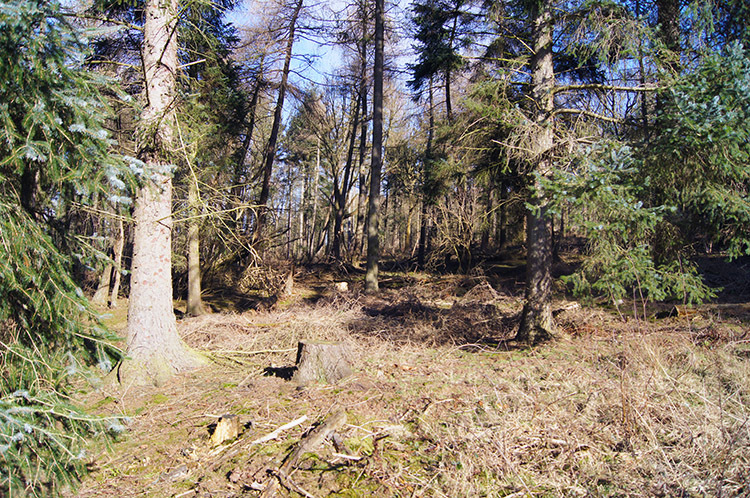 The parkland around us is the home of a herd of Red Deer but we did not see them, they were keeping their distance. Continuing along in a west direction we dropped down towards the estate village of Stank which is now home to small businesses. Stank is a lovely place, a small hamlet set within the estate grounds which used to house the estate workers in the days when such gentry had a large workforce. Despite its modern ghostly feel the hamlet of Stank has changed little since Victorian times and many of the buildings are protected under listings by English Heritage. The mill house has a particular aesthetic feel to me, I always take a long look at the scene whenever I pass. From Stank we walked along the side of Carr Wood and then climbed to Stub House Plantation, on the way passing Carr House where we looked across to Harewood Fish Pond. It's a very big pond. The climb through Stub House Plantation was the first of five short hill climbs during the walk. As we reached the top of our first hill and levelled off to continue through the wood we passed near to the bespoke built village of Hotton, otherwise known as the Emmerdale TV series film set. We would have had to make a short detour off the path and peer over a wall to see the buildings. Not one of us bothered. 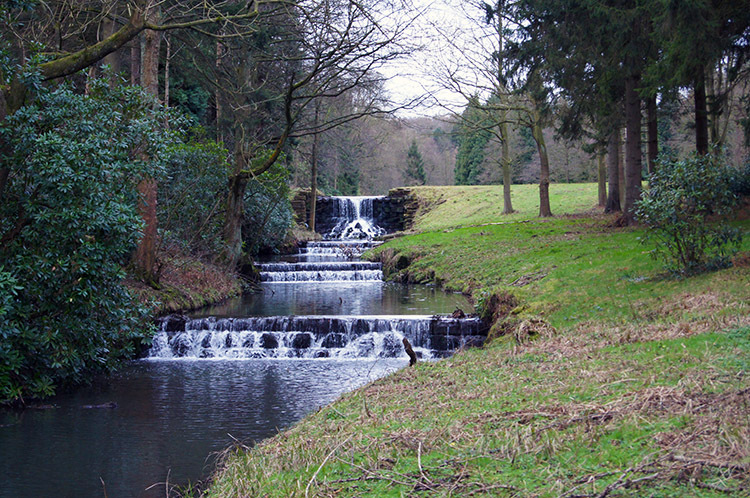 Instead we enjoyed the natural beauty around us in the estate grounds, a scene set by Lancelot Capability Brown who was commissioned by Edwin Lascelles, 1st Baron Harewood to create a place of beauty, a task he quite clearly succeeded in achieving. The estate grounds are a lovely place to walk though and enjoy. 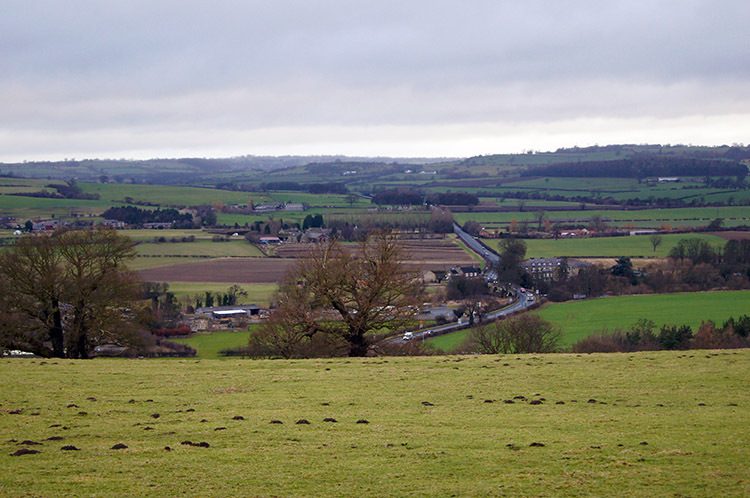 Our final section of walking in the estate grounds was in open countryside with a great view to Harewood House itself down the fields to the north. 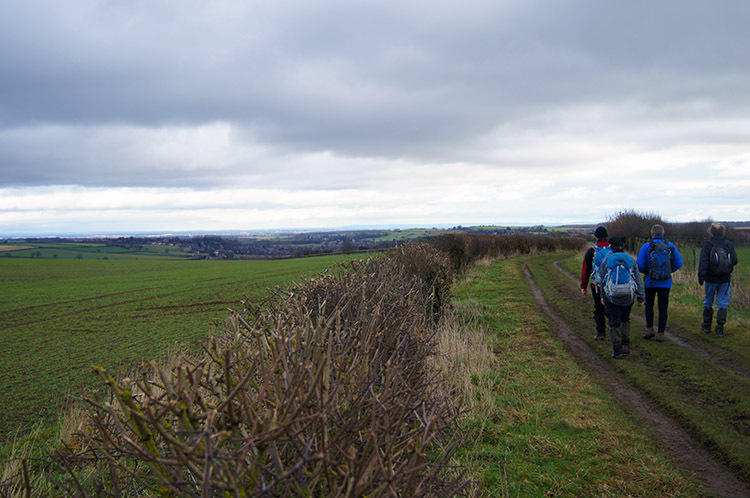 After leaving the estate grounds we made a careful crossing of the A61 road linking Leeds and Harrogate. It is always busy and care is needed to cross. Fortunately at the crossing point the road is straight and views to traffic coming from either direction are good. 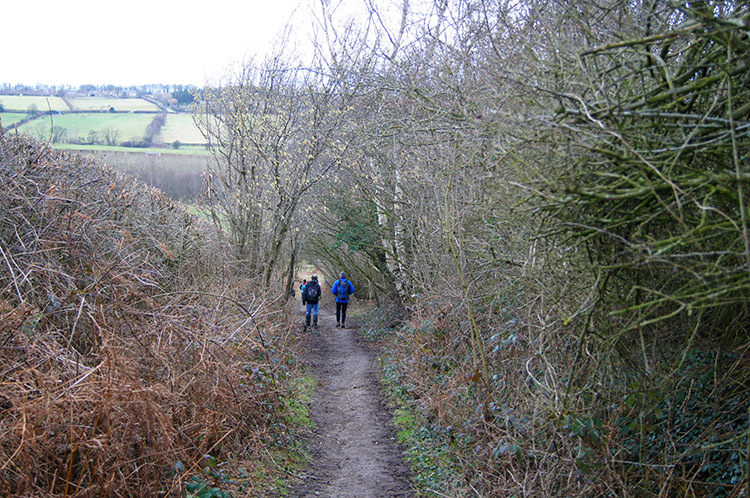 Since Stub House Plantation we had been following the Leeds Country Way and we continued on the path east along the Wike road before leaving the roadside and crossing a field to Wike Wood. We did not enter the wood, the path running alongside the south edge of it. 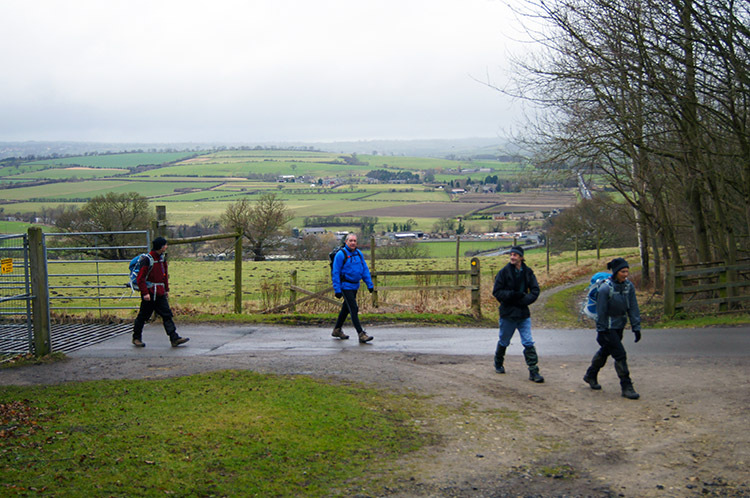 After passing Wike Wood we reached the highest point of the walk, a heady 130 metres above sea level and from our vantage point we had tremendous views looking down into Wharfedale to the north. We could also see an appreciable distance east too and to East Keswick village, a point of call on the walk in another two miles, directly to the east. 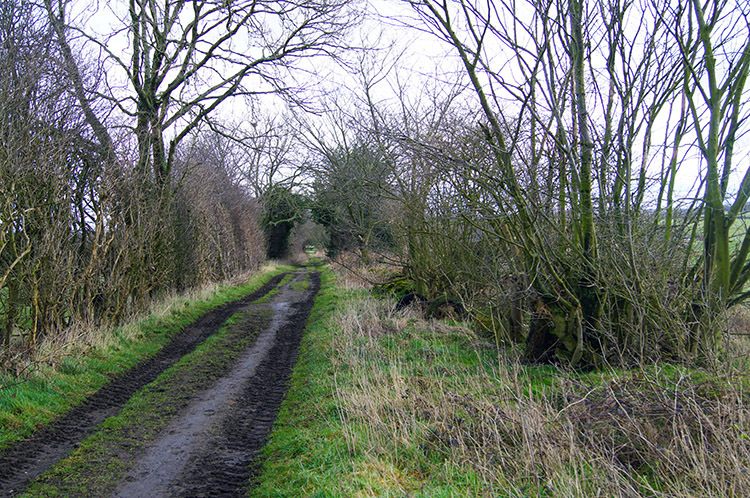 The Leeds Country Way followed open countryside for a good while until we reached Biggin Farm from where we first followed a tree lined bridle track and then fields to Rigton Moor. 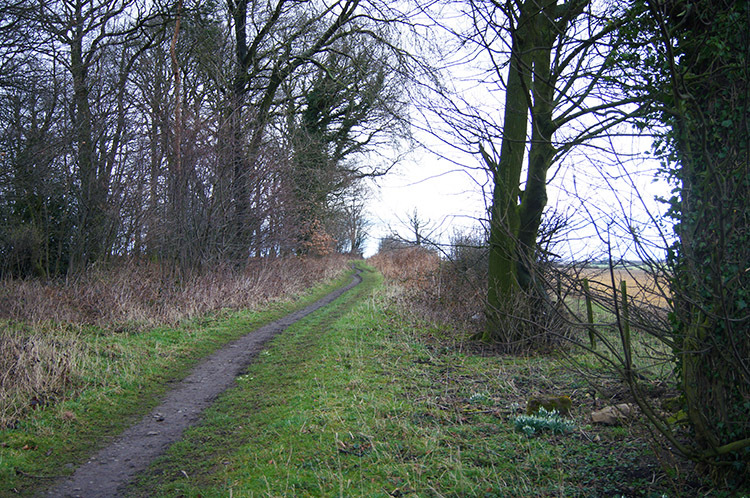 From Rigton Moor we descended from the high ground through more tree lined avenues to Gateon House Lane. Throughout the walk we had often seen Red Kites. They have thrived in the area since their reintroduction in 1999 and now they are a common sight in the area. Despite their proliferation I found it difficult to get a decent photograph; I tried a few times and here I had my last chance. I got my best shot but it was partially shielded by trees so I will save putting a photograph of one on the website for another day. 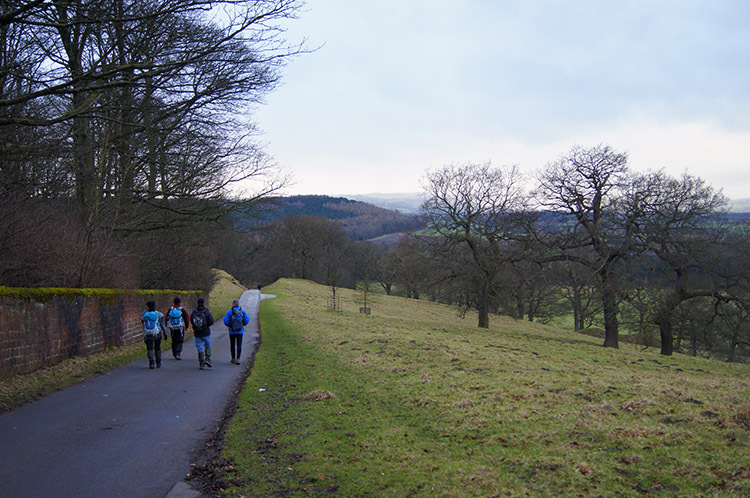 We approached East Keswick by walking along Gateon House Lane. As we did so the milky February sun came out and the temperature slightly warmed. We reached the village in lovely sunshine and after Dave and I shopped at the village Post Office for healthy fayre and John at the local butchers for a pork pie we walked on a road due north to cross the A659 and join the Ebor Way, a 70 mile long path which links Helmsley in North Yorkshire to Ilkley in West Yorkshire. It takes its name from Eboracum, the Roman name for York. 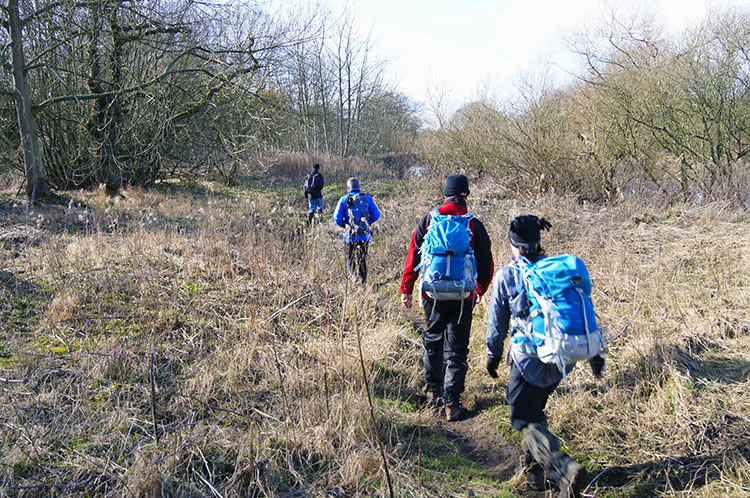 We followed the Ebor Way down a hill to reach the south bank of the River Wharfe. 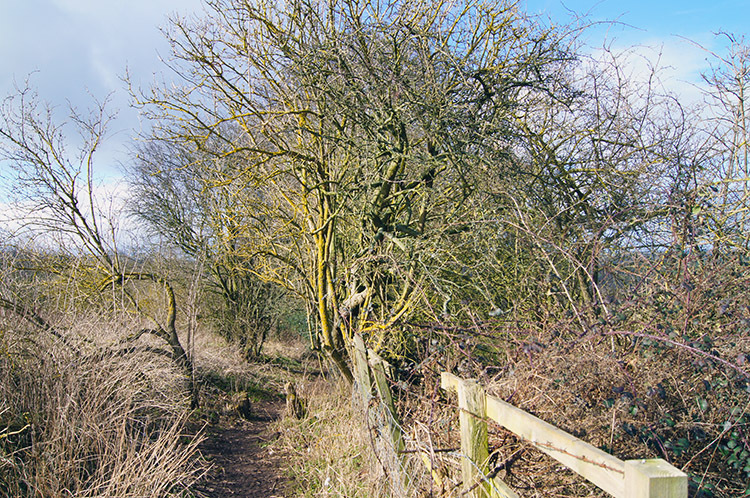 The walk down to the river was pleasant, again part of it narrow following a tree lined path and part wide across open field. 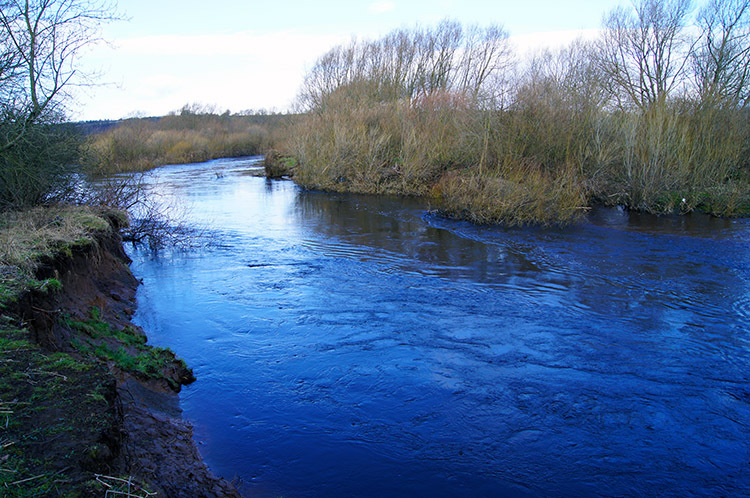 On reaching the river it was lovely to see it flowing briskly, a very healthy sign. Even now (in February 2012) there is fear of drought in South East England. By the body of water flowing fast in the river there seems little fear of such water restrictions here. We continued our walk by following the river upstream towards Carthick Wood. 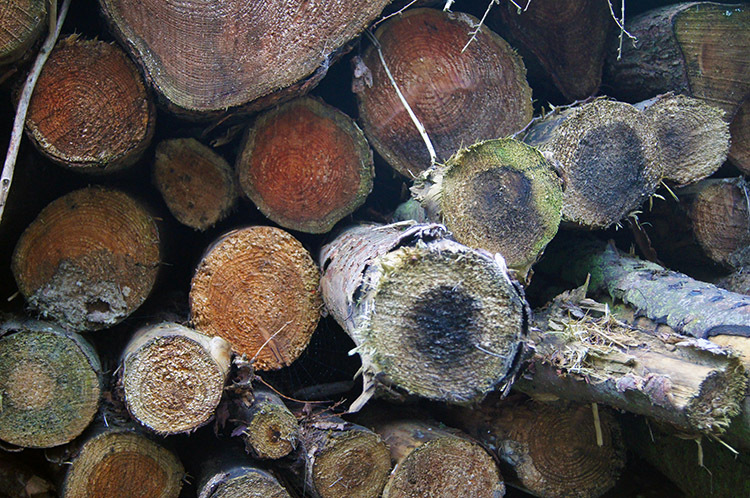 Carthick Wood was a delight to walk through. The bright sunshine with the sun low cast vivid shadows in the wood which changed with the movement of the trees in a slight breeze. 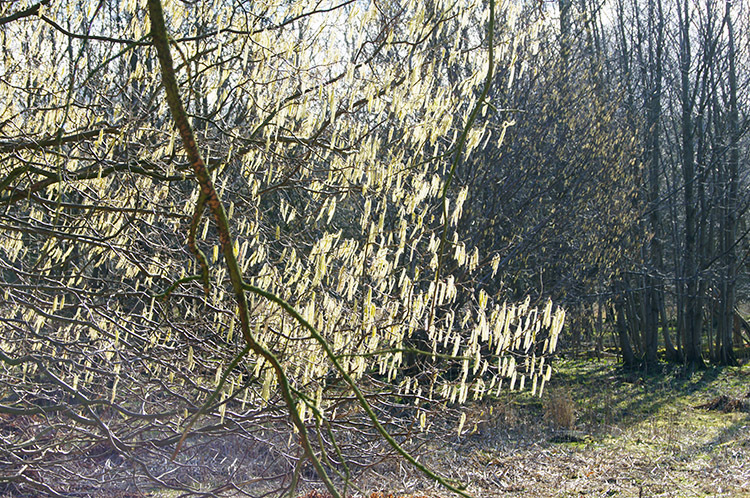 Jez pointed out a lovely scene set by Catkins shimmering in the sunlight. "Michael, take a photograph of that and don't forget to give me credit for it on the website". Jez, that's done thank you very much. I needed lunch now, so after finding a suitable seat in the woodland I ducked in, sat down and had lunch of warm soup and sandwiches. It was a lovely lunch in peaceful solitude in woodland by the riverside. My walking colleagues had walked on and only when they looked back to see me not in sight did they sit by the riverside and have their lunches. We had agreed to take lunch once we had reached the river but they had kept going and going. I was famished and initiated proceedings! And it was a fitting time, we had covered over eight and a half miles with just two to go. 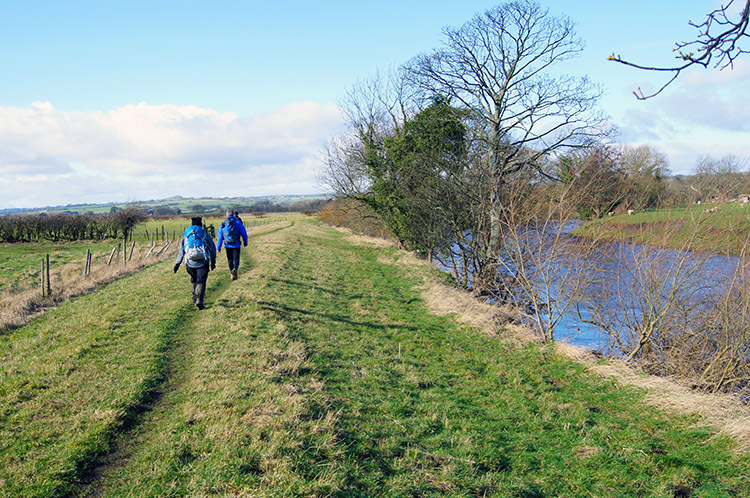 After our lunchtime breaks in our respective beauty spots by the side of the River Wharfe we continued along the Ebor Way westwards until we left the riverside to climb Fitts Lane which took us back to the edge of the Harewood Estate. 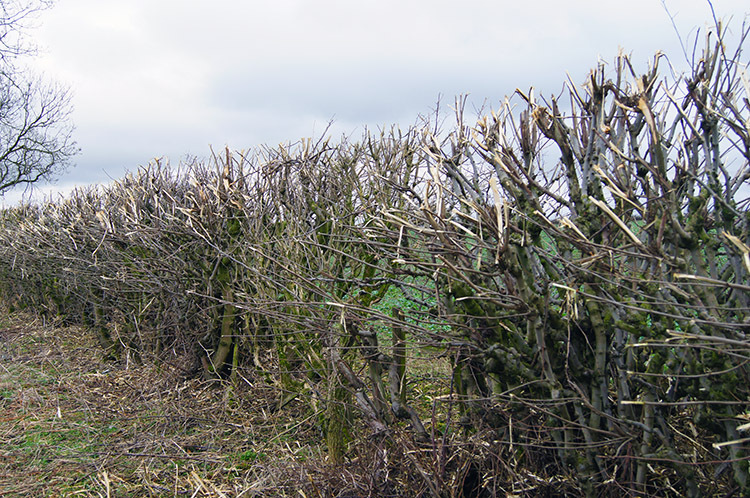 After climbing 40 metres up Fitts Lane we immediately descended to lose all the height gained by following the A61 west to access Harewood Estate by a gate in the perimeter wall. Then we climbed again, our 5th and final climb of the walk. 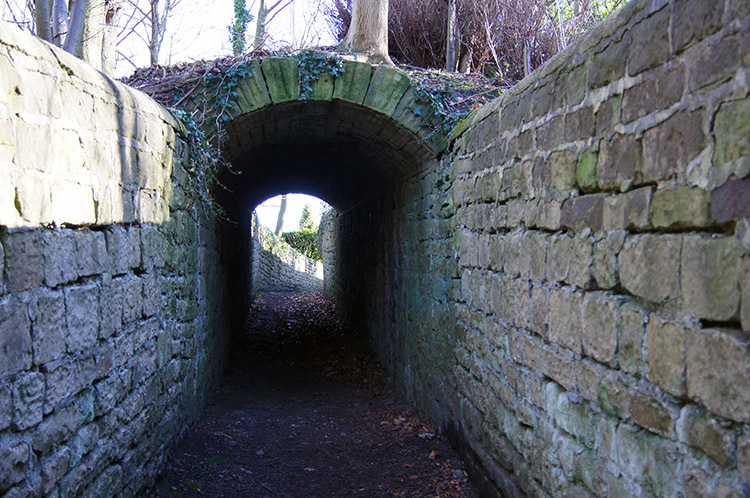 This time it was a 60 metre ascent first through a plantation and then along a path with high stone walls either side and part tunnelled. 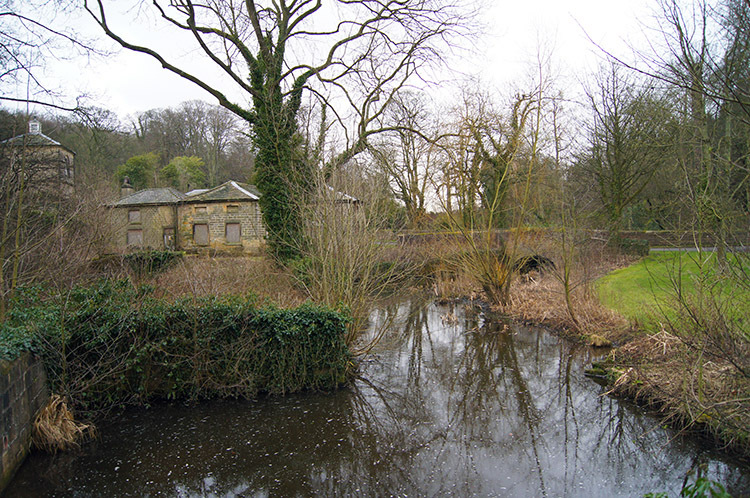 this brought us back to Harewood Village Hall and the end of our walk, an interesting journey of manicured parkland, heritage village, landscaped estate grounds, open countryside, tree lined lanes and a riverside walk. To complete a perfect day out we all convened in the Harewood Arms Public House for a drink and a chat. Lovely.